Could you win The Gong Show? Recently, ABC announced casting has begun for the TV show’s second season. Hosted by Tommy Maitland (aka Mike Myers), the variety series showcases performers with unique talents who face off in hopes of impressing a rotating panel of three celebrity judges. Celebrity judges have included Ken Jeong, Zach Galifianakis, Alison Brie, Andy Samberg, Elizabeth Banks, Joel McHale, Dana Carvey, Will Forte, Jack Black, and Anthony Anderson. In the immortal words of host Tommy Maitland, “Who’s a cheeky monkey? YOU ARE!” “The Gong Show” is back for season two, and now is the time for unusually talented and unique performers to see if they have what it takes to appear on the show and survive the gong! Hosted by Tommy Maitland (portrayed by Mike Myers) and executive produced by Will Arnett, “The Gong Show” is offering you or someone you know the opportunity to show off your wonderfully unpredictable, strange, weird, odd, one-of-a-kind and original acts that could lead to a performance on “The Gong Show” stage in front of a celebrity-filled judging panel and viewers across the country. And calling all parents – are your kids, 9 or older, super talented or have an incredibly unique skill? Or do you and your family have a fun act? Then come on down and spend some quality family time on “The Gong Show”! Potential contestants can apply online at www.gongshowcasting.com or attend an open casting in Los Angeles on Saturday, March 24. A parent/legal guardian must submit on a minor’s behalf. “The Gong Show” and MysticArt Pictures are accepting auditions from zany and creative acts of all kinds and will be auditioning singers, dancers, unique comedy acts, people who can pull off a random feat, skill, or stunning stunts, groups, individuals with special hobbies, comedians, and incredibly talented people of all ages. Nothing is off the table! Auditions open at 9:00 a.m. Performers must RSVP with their name and phone number to gongshowopencall@gmail.com prior to attending the event to receive a code for Gong Entrance. Performers must also complete an application at www.gongshowcasting.com to be considered. Must be at least 9 years of age to be considered. A parent/legal guardian must submit on a minor’s behalf. 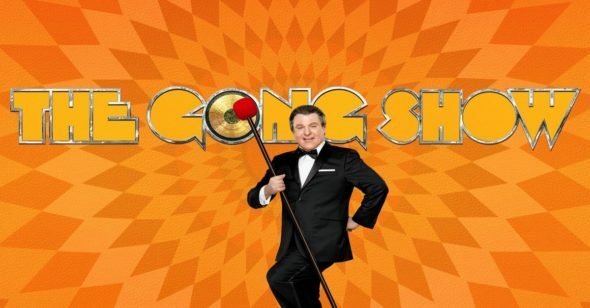 To be considered for “The Gong Show,” performers must upload a video submission of their act and complete the online application at www.gongshowcasting.com. If selected, producers will reach out to schedule the potential contestant for an audition. Applicants must be at least 9 years of age to be considered. A parent/legal guardian must submit on a minor’s behalf. Must be a legal U.S. resident; other eligibility requirements apply. What do you think? Have you seen The Gong Show? Will you watch season two? More about: ABC TV shows: canceled or renewed?, The Gong Show, The Gong Show: canceled or renewed? The Gong Show on ABC: Cancelled or Renewed for Season Three? The Gong Show: Cancelled or Renewed for Season Two on ABC? This new rendition of The Gong Show is so awesome. Will Arnett and Mike Myers got it right. Absolutely hilarious each and every episode. Thank you for bringing back this blast from the past. I hope it’s for many new seasons to come. Please please don’t have the rude obnoxious judge that on all the time.not funny or even !